Hello everyone, it's challenge day again! 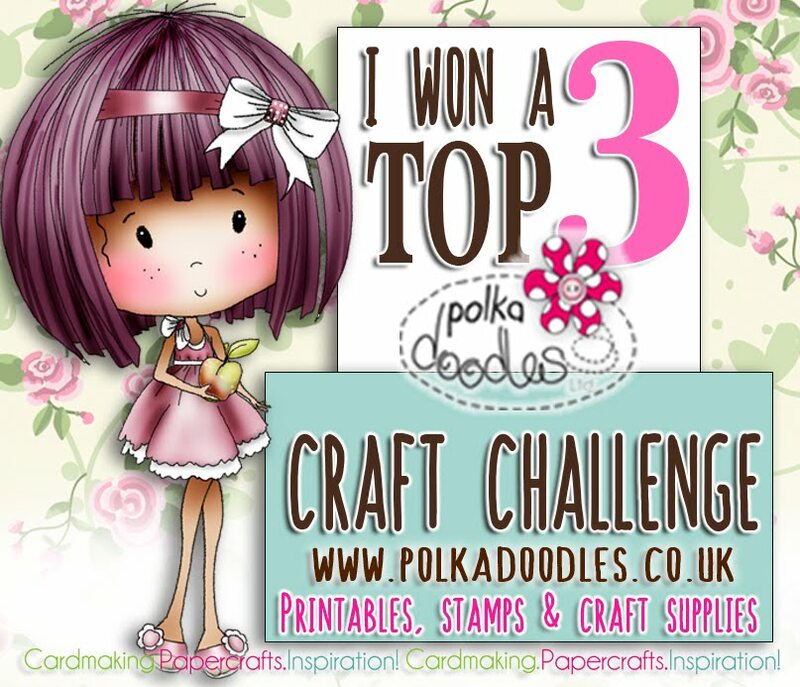 Before I go on to details of this week's challenge I'd like to say a big thank you to everyone that took part in our Swirls Pearls and Pastels challenge (45). You made some really fabulous creations with it! 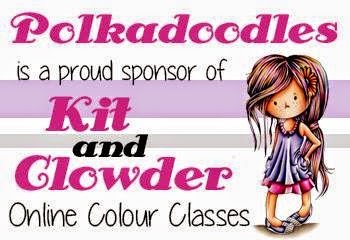 Congratulations everyone, please email Nikky for your blinkies - the first placed winner receives a download and as a special treat a set of pens from Letraset for hair! Please put in the subject field of your email your placing and the challenge number - this will make Nikky's life a lot easier! This week it's me, Miria, hosting the challenge and I chose the theme Italian Christmas: as you probably know, the Italian flag is white, red and green and these colours have to be in your projects. 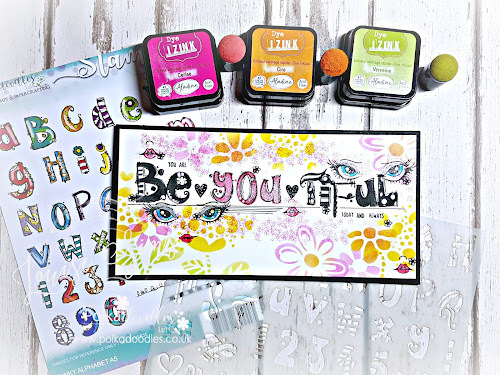 This week is our Stashbox Stamp challenge - all the Design Team have to use a stamp from their stash they already own. We can't wait to see your creations! 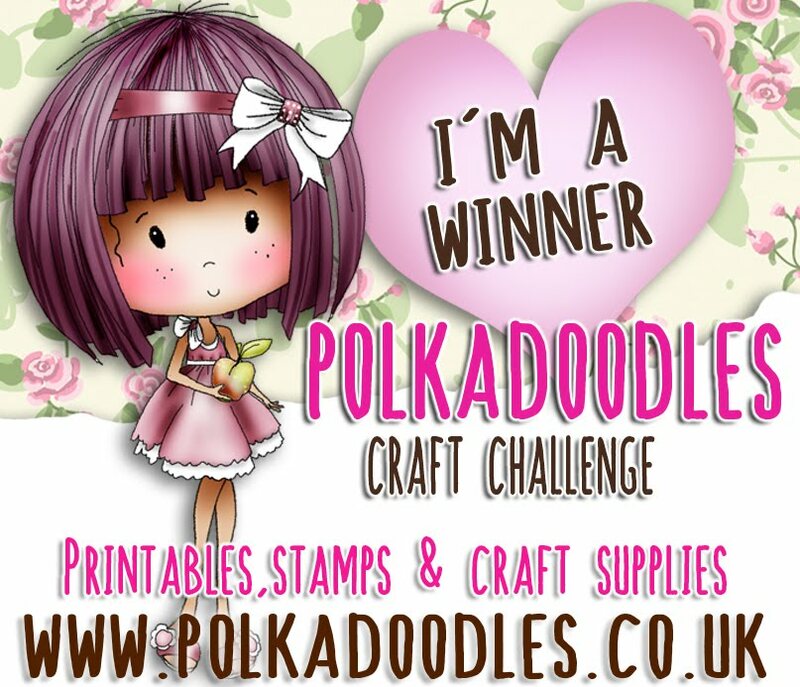 We also have some BLOG CANDY up for grabs this week so anyone who enters this Italian Christmas challenge will be in the random draw to win a Polkadoodle stamp - and there will be two lucky winners chosen! Woohoo! So make sure you get your entries in on time to be in with a chance! The challenge is open until Sunday 4th December at 12noon GMT and any entries that do not follow our challenge rules will not be eligible for any prizes so please read them carefully! 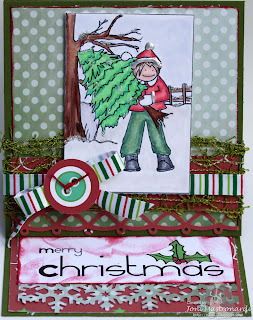 Miria For my twisted easel card I used this santa Edwin and Tree from my stashbox stamps, coloured with Zig Art and Graphic Twin and Kurecolor, all the papers and sentiment are from magical Winter. Emma, hello, this weeks card was made using elements from the Magical Winter CD coloured with Distress Inks, all available from Polkadoodles shop. GDT Stephanie Emma - I made my card using the Christmas Fun Stamps, papers and elements from Magical Winter and some flashing lights!! I also used some gorgeous ribbon. 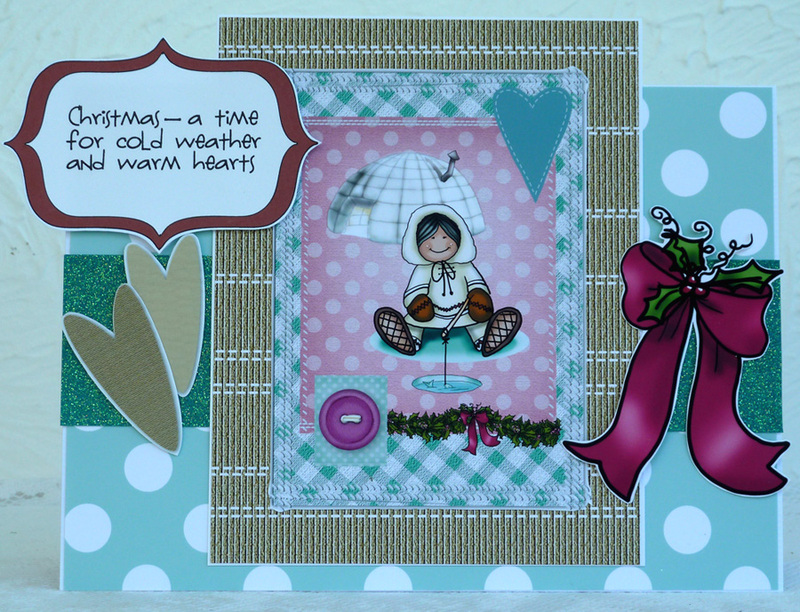 Audrey... For this Double Z Fold card I used the CD Magical Winter Part 1. I used my Gelly Roll pen for the stitching. 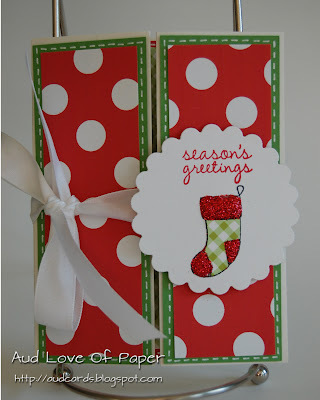 I did some paper piecing and glittering on the stocking stamp and used S.U. Real Red ink for the sentiment. 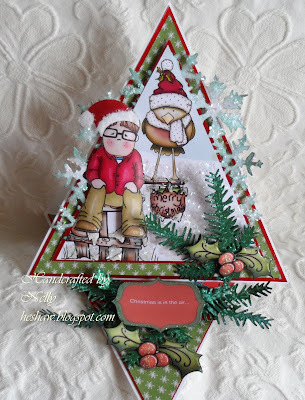 Nelly - I combined elements from Magical Winter and Pretty Tuff to make my triangle shaped Easel Card. Colette Great challenge this week, perfect colours for a Christmas card. 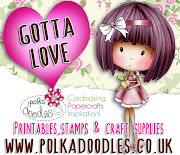 I have used papers from Sundae of Seasons and Father Christmas from the Polkadoodles Christmas Fun Clear Stamp set. 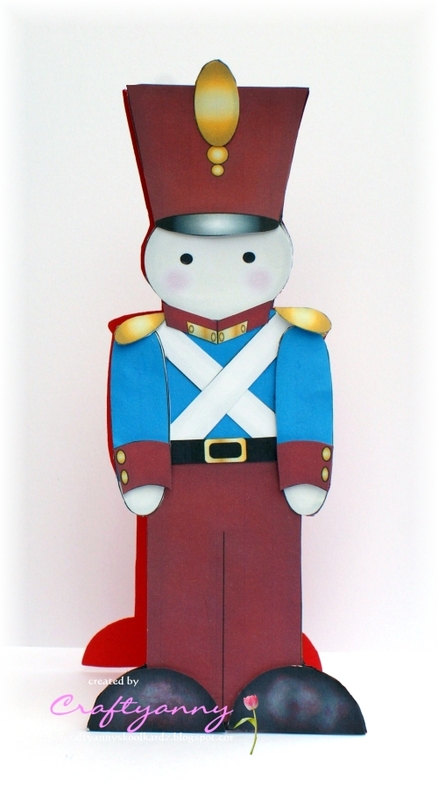 Image was coloured with Promarkers and I added glitter to his hat and belt, the mats are made using X-Cut nested Bookplate dies, and I used a snowflake embossing folder on the white strip. 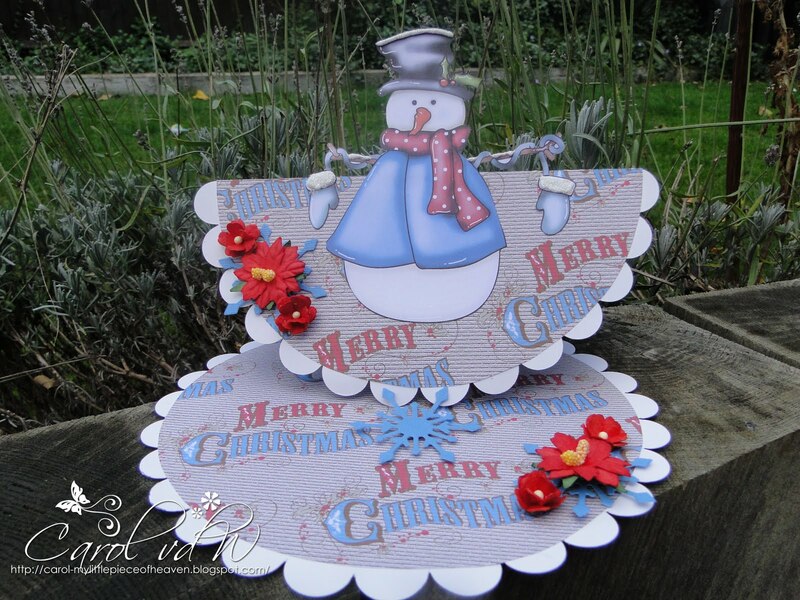 Lou: I have used one of the papes from the magical Winter CD and then created a topper also from the same paper. I drew and then cut out 2 holly leaves finished with a green ribbon bow and a red button berry. A very quick and simple card . . . must make more of these! 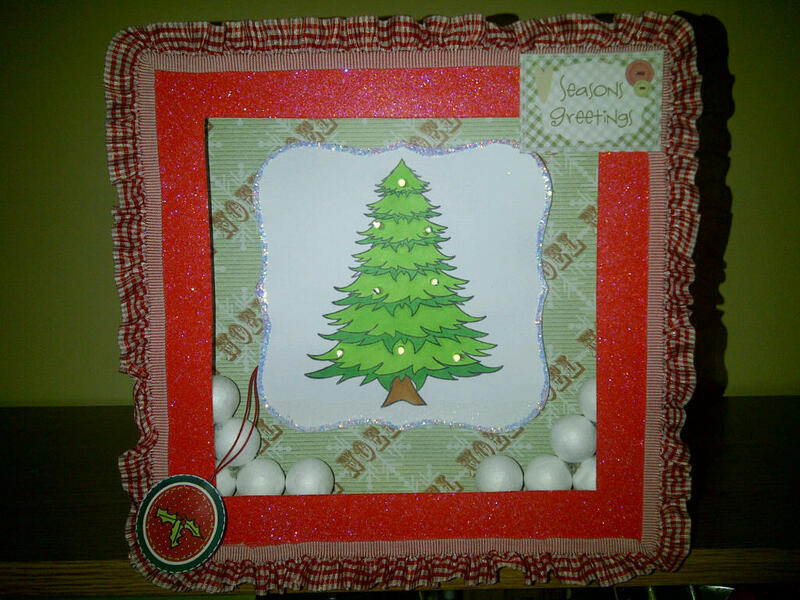 Ashley-This weeks card was made using digis from the Magical Winter CD all available from Polkadoodles web site . 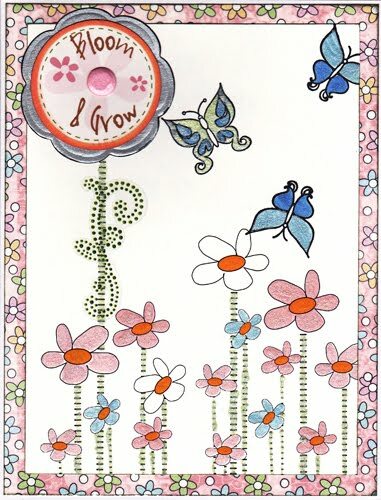 I used some home made seam binding and a sentiment, Polka Doodle stamps are not only adorable but oh so versatile. Clare: I have used the image "Elfie" from the Magical Winter CD Part One. 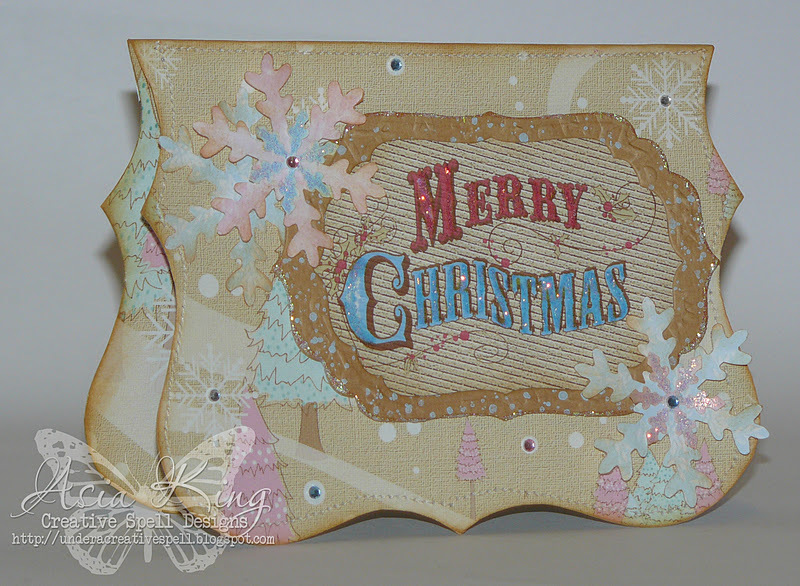 I chose a pre-coloured image and added gloss and glitter just because it's a Christmas card! The papers, ribbons and sentiment stamp are from the Christmas Boutique pack. I coloured the sentiment and gem using promarkers. Doreen: For my tent card (first try) I've used the image and the paper from the Magical Winter CD. The sweet girl I've colored with Copics. Flowers, leaves and gras are die cuts. I embellished with lace and pearls. Norine: For this card I kept it nice and clean and simple with a design from the Sundae of Seasons (Primitive Winter) cd. The polkadot paper is from that cd as well. 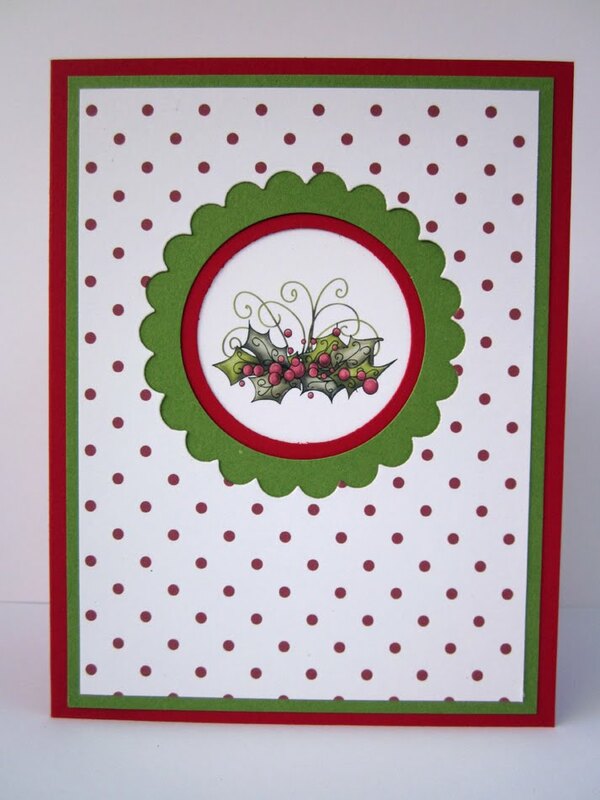 The scallop circle is cut with a Spellbinders die and the rest is card stock. I decided it was enough just so, and put the greeting on the inside. Shell-for my card this week I've used papers from the Magical Winter CD and have teamed them up with a stamp, the bear is coloured with copics I then added a few gems and some string. Joni: Supplies: Paper Boutique, Magical Winter Part Two. I colored the focal image with copics. Shary My card for this week is one using a digimage which I've coloured with copics and papers from the Magical Winter Part 2 CD. The sentiment is also from the Magical Winter Part 2 CD. I've inked around the sentiment with distress ink and added a little gem for a bit of bling! All the little embellies have been die cut with the same papers. 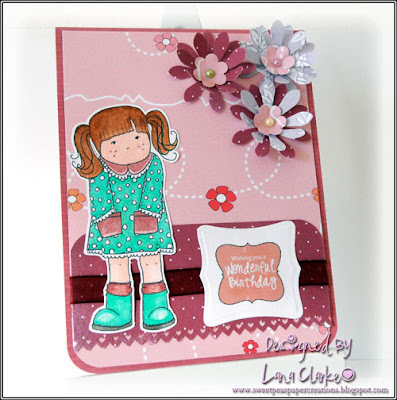 Louise For my card this week I have used papers from the Sundae of seasons CD and used my nesties to make the shaped card,my stamped image is from Penny black. Lis-m. 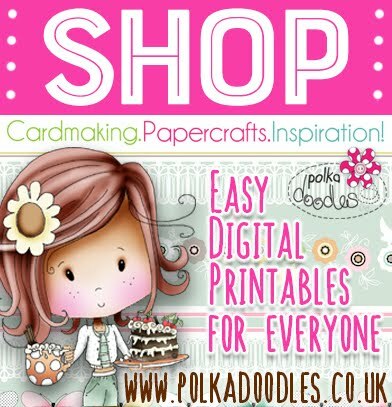 This week I reached for the papers from the Paper Craft Boutique Vol. 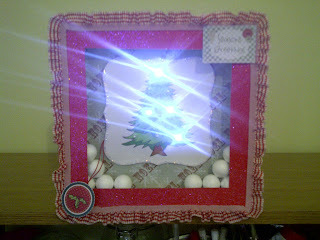 2 "Creative Christmas". Matted the layers onto black card for extra "pop" .. added some ribbon , and coloured my image with my Promarkers.I added buttons for that final detail. So that's our ideas for this week, make sure you get those entries in to win the blog candy too! See you next week! So no squares or rectanges - it really does need to be shaped! Now, the winners of challenge 44 which was a shaped card theme. Fabulous creations as ever from everyone who joined in! The challenge is open until Sunday 28 November at 12noon GMT and any entries that do not follow our challenge rules will not be eligible for any prizes so please read them carefully! 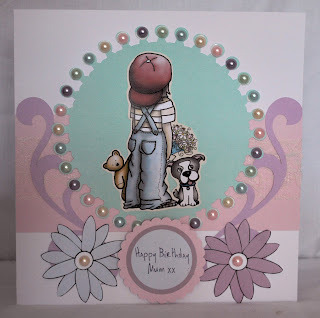 Ruth: A quick and simple card from me - I used the pre-coloured A5 template from Paper Boutique Vol 2 and layered it up how I wanted. I've added seed beads plus some ribbon and that's it - complete! 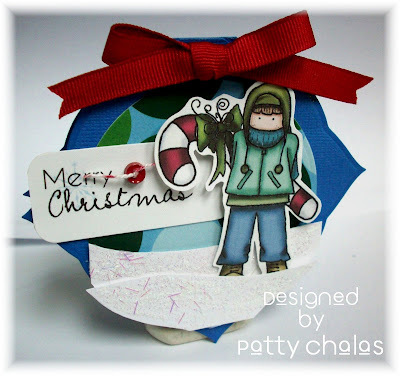 Patty: A quick and simple card from me - I used the pre-colored image of Boys outside from Magical Winter Vol 2 and using my spellbinders shaped layered it up on how I wanted. I've added some glitterly path and the red ribbon and Voula, it's - complete! 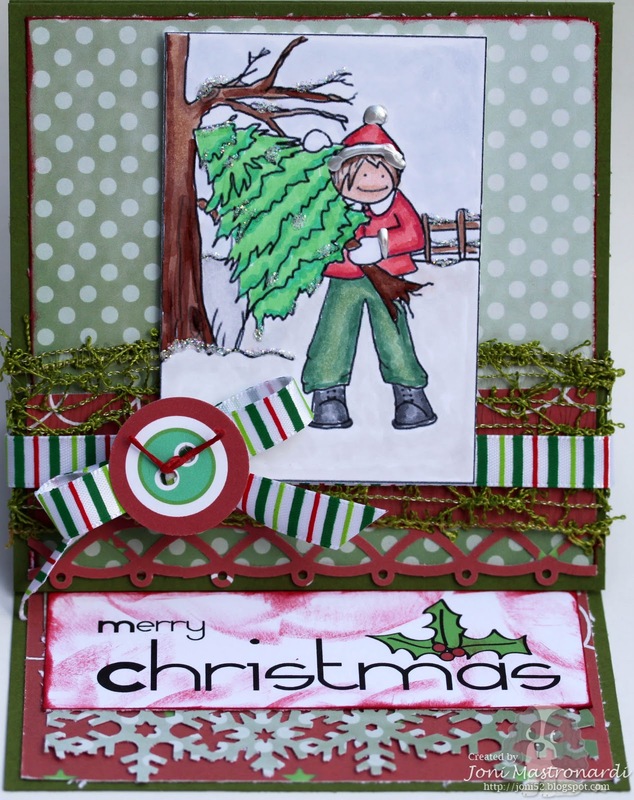 Audrey... For this Christmas test tube holder I used the CD Magical Winter Part 1. I used 3D dots to make the penguin pop out a little and used my S.U. corner ticket punch on the top of the holder to give it a little more detail. Daniele.....I've made a stepper card for this weeks challenge using the delicious papers from The Magical Winter Cd 1, I cut out some of the trees and then added them on the top for added dimension, and of course lashings of glitter. GDT Lisa - I used elements from Double Sprinkles of Kraft to make my snowy owl card! 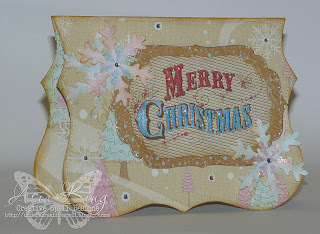 GDT Dawn - I used Paper Boutique 2 - Creative Christmas to make my super cute reindeer card. Colette - I used the penguin from Magical Winter 1 CD, printed him out on the right hand side of A4 card, folded the card so that his flipper touched the fold, then cut through two layers at once, except for where his flipper touched the fold and a couple of centimetres at the bottom.. I decoupaged his flippers and scarf, adding some pompom trim at the bottom of the scarf and tucking a sentiment panel under his flipper. Lou: I have used Mr Tweetie as my template and made an owl inspired Christmas card using elements from the kit in the Polka Doodles magazine that was recently issued. A very quick and easy card and I've even used cotton wool on his hat to add texture! Fliss: For my card I've used the Magical Winter CD set and have made one of my favourite shapes at the moment. I used one of the gorgeous cute eskimo toppers for speed and combined this with some of the lovely papers from the CD adding some of the cut out embellishments and a lovely big sentiment panel. 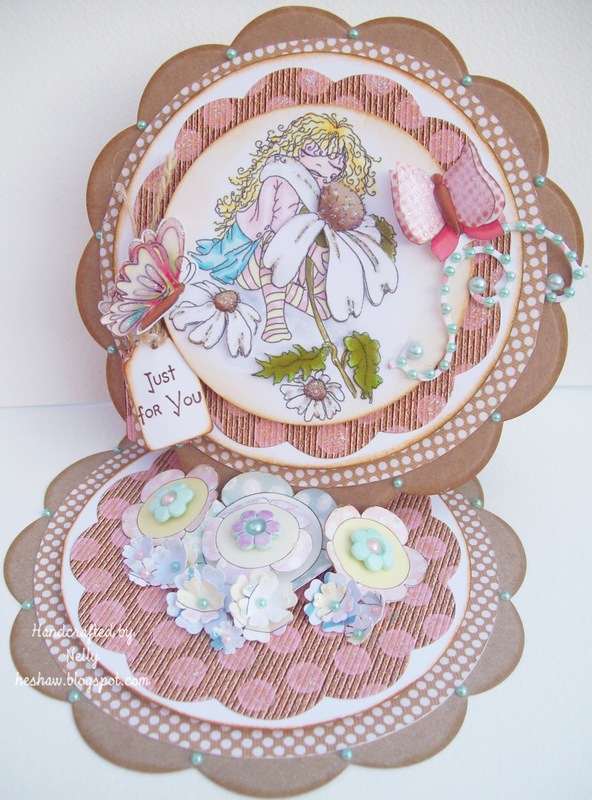 Louise: My card is very simple this week and I have used my grand nesties to make the card shape, the image is from the 'Sundae of seasons' cd. 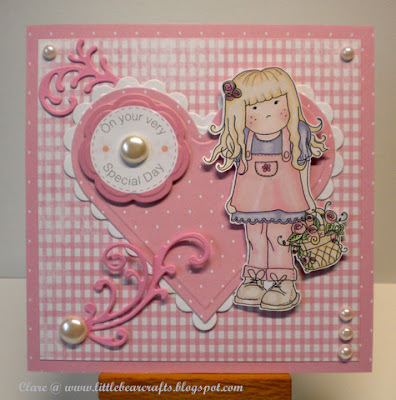 Clare: I have made an easel card for this week's challenge. The images and sentiment are from the Magical Winter CD and the paper is from the Pretty Sweet CD. 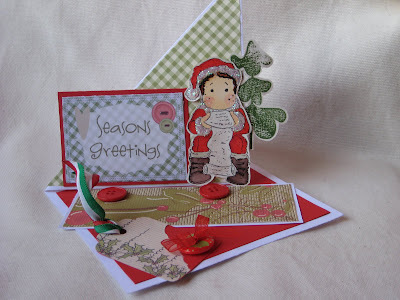 Anne - I've used Creative Christmas for my card this week. I printed the image from the PDF file in A4 size and used it as a template. Once I'd cut the first layer out I matted this onto red card stock flipping it over to fold at his hat, Then decoupage the layers to complete. He stands 7.5" tall so looks great! Shell-For my card this week I've used the papers and images from the Magical Winter part 2 CD, then I added a bit off string and a button to finish. 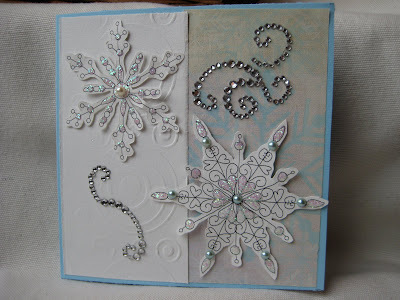 Joanna: For my card I've used the GORGEOUS kraft papers from Magical Winter 2 CD and the snow flakes were punched from Pretty Sweet CD soft pastel papers. The sentiment panel was cut using Nesties and mounted on sticky pads to add dimension. Then I added a few sparklies with gems, acrylic paint "snow" and LOOOOOTS of glitter :). The edges were distressed with distress ink for a more vintage feel. 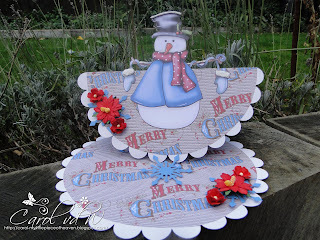 Carol : I have used this gorgeous snowman from the Sundae of Seasons cd rom and the papers were printed off from the Magical Winter Part one cd. So that's it - over to you now! Good luck with the challenge and don't forget our rules - deadline for entries is Sunday 28 November at 12noon GMT.